Bio Notes: Giles Gilbert Scott was born on 9 November 1880 at Church Row, Hampstead, the son of George Gilbert Scott II and his wife Ellen King Sampson. Because of his father's mental illness, and because he was sent as a boarder to Beaumont College, his acquaintance with his father was only slight. Along with his younger brother, Adrian Gilbert Scott, he was articled to his father's pupil and successor Temple Lushinton Moore, thereafter moving as assistant to the Catholic architect Thomas Garner prior to winning the Liverpool Anglican Cathedral Competition in 1903; because of his inexperience he worked initially in association with one of the assessors, Garner's former partner George Frederick Bodley. While their lady chapel, the first part built, was outstanding in every respect, relations with the more conservative Bodley became strained and were on the point of breakdown when Bodley died in 1907. Scott became sole architect thereafter, completely redesigning the scheme for the cathedral itself in 1910. Scott's success at Liverpool brought many Roman Catholic and High Church Anglican commissions from 1905, two of which were in Scotland. 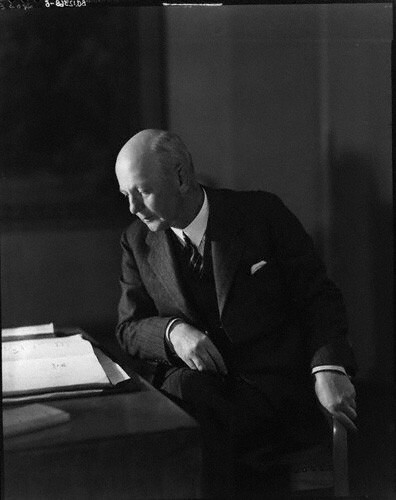 From 1930 he was extensively commissioned to design university buildings in both Oxford and Cambridge, power stations and the architectural aspects of bridges; these showed Scandinavian classical modern influences. Scott was admitted FRIBA in 1912, and elected ARA in 1918 and RA in 1922. He was knighted in 1924 and received the Royal Gold Medal in 1925 and the Order of Merit in 1944. He died in University College Hospital, London on 8 February 1960.